The number 1 thing most expats I meet in London say about the city is that it's expensive. And it is. Rent and transport are crazy; I can't believe how much we moaned in Toronto! Salaries, especially for non-manager roles, are completely inadequate in a lot of sectors. And if you are here on a working holiday visa, your odds of a decent wage are even lower. But being young and having a good time in London can be semi-affordable if you plan a bit and keep your eyes and ears open! 1. Bring on the emails. You're probably familiar with Groupon and its competitors. While I have found the deals in London much less dramatic than in Toronto, there are still great deals to be had. Theatre tickets, clothing, exercise, spa treatments, and nights out can all be had for steep discounts. 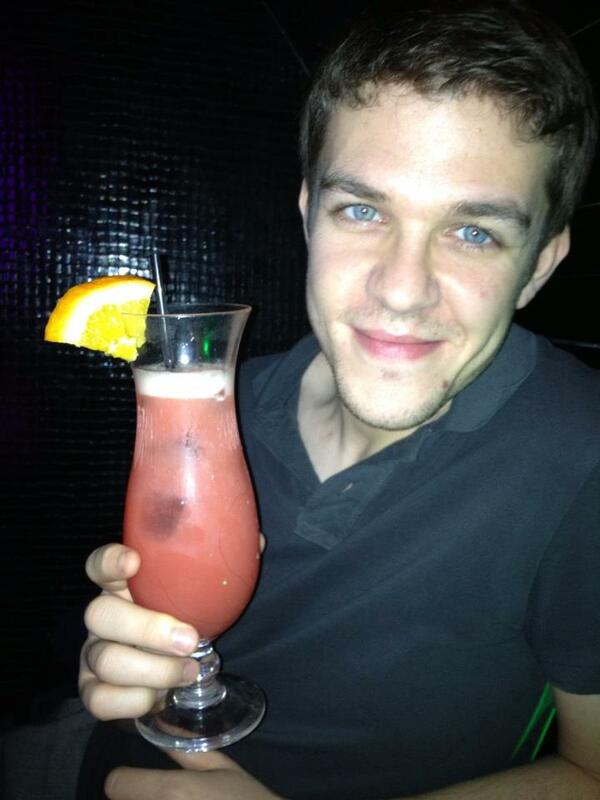 The Irishman and I got a Wowcher coupon: 6 cocktails and free cover at a club in Soho for £10! Each drink, normally £10 each, was expertly shaken (with 2+ shots of alcohol in each) and there was a comfy lounge area for us to hang out in. 2. Stay fit -no excuses! The climate isn't really ideal for outdoor activities and incredibly long escalators in the Underground could make anyone fall out of shape quickly. But even if a rainy jog or yoga in a shoebox of a flat don't appeal, you have no financial excuse! Like yoga? Lululemon hosts free classes throughout the week. Many studios also offer amazing intro deals, including triyoga and Bikram. Free exercise pops up around the city if you're looking for it. Boot camps can be pricey but, especially if you`re willing to get up early on the weekends, you can find totally free classes (e.g. Hyde Park) and most companies will let you try your first session for free. As mentioned above, group buying deals are a good default. And if you can stand the emails and texts, sign up at gyms and studios near your home or work to find out about great deals that may find you at the right time! Speaking of exercise, walking is the best way to get around the city. Avoid any rail service or cabs, leave your heels in your bag, and hoof it! If you're not going far, it can be quicker to walk than make your way deep underground and then surface, anyway. Handy maps are dotted all over the city to help you sort yourself out. Get an Oyster card. If you are in the city for a week, get an Oyster card. The £5 card save you money on every trip, you can register it so you get the cash or pass back if you lose it, and you can top up your balance online. 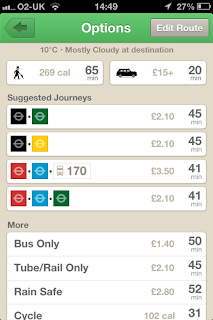 App CityMapper is all the rage now. It gives you your various transport options, including cost and weather at your destination. For free. iOS and Android users, get downloading. The bus is way cheaper and can be faster, especially during rush hour. The price is fixed, unlike trains, so you can get pretty far on a couple of pounds. They're usually much less crowded than the tube. You can see the city rather than concrete walls. And they often are double-deckers. Which is cool. If you're a braver person than I and have good waterproof gear, cycling is a great way to go. Beware of roundabouts, buses, pedestrians (especially drunk ones), motorcycles, thieves...Just wear a helmet and buy a good lock, okay? One of the best things about London is the charity shop culture. People automatically think of donating their clothes to the shops and they are EVERYWHERE. Usually named after the specific charity they support, often several will be side by side. Especially for women's clothing, you can find tons of clothes at deep discounts and support charities. The biggest Chinese New Year outside of Asia. It was disappointing (food was not actually Chinese and the entertainment was awful) but the rest of the fests have been great! Especially in the warmer months, free festivals abound. Being a Torontonian at heart, I'm used to spending weekends festival hopping, enjoying free entertainment, samples, street food...It's even better in London with more lax public drinking laws where you can BYOB to many events! TimeOut London is your source for all London events. There are two deal cards in particular that I would recommend to anyone moving to London, even for just a year: Tastecard and Nectar. The Tastecard gets you 50% off food or 2 for 1 courses at tons of restaurants in London. Pizza Express and Zizzi are two delicious chains included. Combine with happy hour for extremely cheap eating out. They have a great app and after choosing your restaurant, you can have the address and map texted to you. What's the catch? A one year membership is £80 and you have to make a reservation when you use it. You can get a one month free trial to give it a whirl. They frequently have 50% off the card deals; they will likely offer it after the trial or, if you are patient, you'll get an email offer. £40 will pay off in about 3 outings or less! The Nectar card is free and gets you points at tons of places when you shop (including eBay and grocery giant Sainsbury's). You can redeem the points for cash. Simple and costs nothing! There are tons of loyalty cards in this city, many of them free, so stock up! Most museums and galleries are free. Many have late hours scheduled in. It's a no brainer. Check ahead for tour times, which are usually free and bring museums to life! If you are a student, you can get enviable deals on entry to exhibitions and places that charge admission. The British Museum (check out free talks by curators or guest speakers at 13:15 Tue-Sat), gettyimages gallery, and Somerset House are my personal favourites, but I still have several smaller museums on my to-see list. Rush seats are the way to go if you want prime seats for minimal dough. Show up at the theatre a couple of hours in advance at many shows, put your name on the list and see if you've been lucky enough to get yourself one of the hottest tickets in town at a massive discount. Book of Mormon front row seats? £20 each. The real seats? Over 6x that price. 8. Hang out at pub. Listening to a Johnny Cash impersonator on St Paddy's day for free? Why not. Sorry Mom. Hanging out in pubs is a British institution. And when your flat is a shoebox, you have few friends, and the rain is making you sad, grabbing a warm ale in a cozy pub is just the answer. Not only are the prices fairly inoffensive by urban Canadian comparison but free or inexpensive entertainment abounds. Televised sports, live music, themed DJs, pub quizzes (trivia nights in North American-speak), movie nights, comedy nights, even affordable theatre, can all be found at pubs around the city. Speed dating, speed flatmate hunting, Meet Ups -pubs are hubs for meeting people. We randomly stumbled upon Pint of Science through Facebook, an event where experts in different fields of science offer free lectures in pubs around the UK. Did you know dolphins sleep with one half of their brain at a time so they don't forget to breathe? 9. Don't bother with TV. If you have WiFi, the world is your cheap entertainment Oyster. Competition is heavy between streaming companies at the moment and you can take advantage. Most providers offer a free one month trial. Group buying deals for subscriptions are common. We got 6 month of LOVEFiLM (Amazon's answer to Netflix) for £10! Netflix is rising in popularity here and BBC iPlayer is free, as are many other channels' streaming apps. Renting movies digitally is also cheap; you can get new releases without a subscription with services like Tesco's Blinkbox, LOVEFiLM or Sony Entertainment Network. 10. Keep your eyes peeled! So many deals and freebies pop up every day in the city, it isn't hard to find ways to occupy your time. I had a friend tip me off to a poorly advertised promo by a radio station to see Of Monsters and Men in a private gig. It was supposed to be a contest but we just emailed our names in on the day and we had tickets, including a couple of free drinks for ourselves and our +1s! Selfridges was offering free facials a few months ago that I happened to notice in a free newspaper. I suggest following groups on Facebook like Walk London, Yelp London, London for Free, and Handpicked London to get the scoop on what is going on that you can take advantage of. Enjoying yourself in London on the cheap isn't that hard if you know where to look. If you have any tips about things I have missed, add them to the comments!